New and expectant moms will look at the app store today to find tons of baby tracking apps. 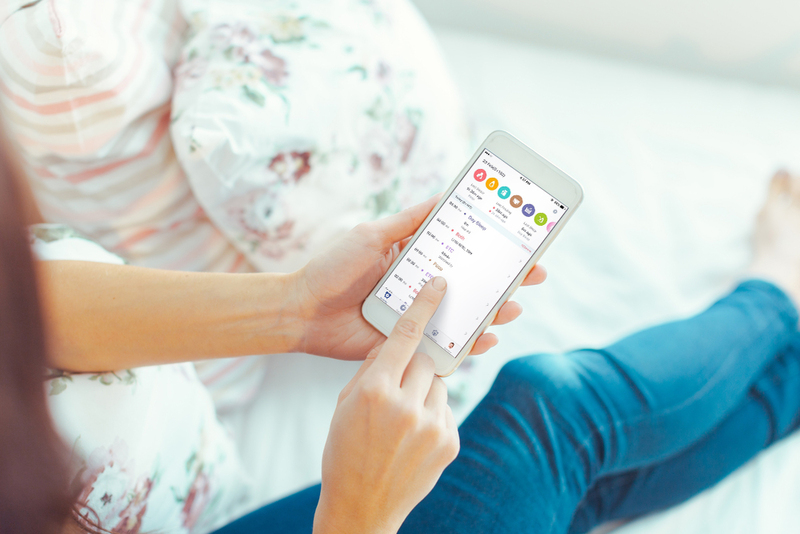 There are apps that track anything from telling you when your body is the most fertile to breastfeeding timers to graphing your baby’s daily habits. 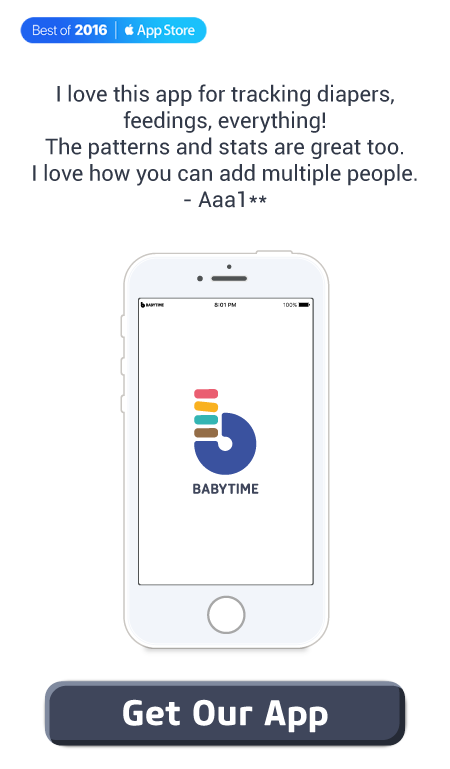 But what’s the best way to use this app once you give birth to a baby and when is too much, too much? Read the article to find out! 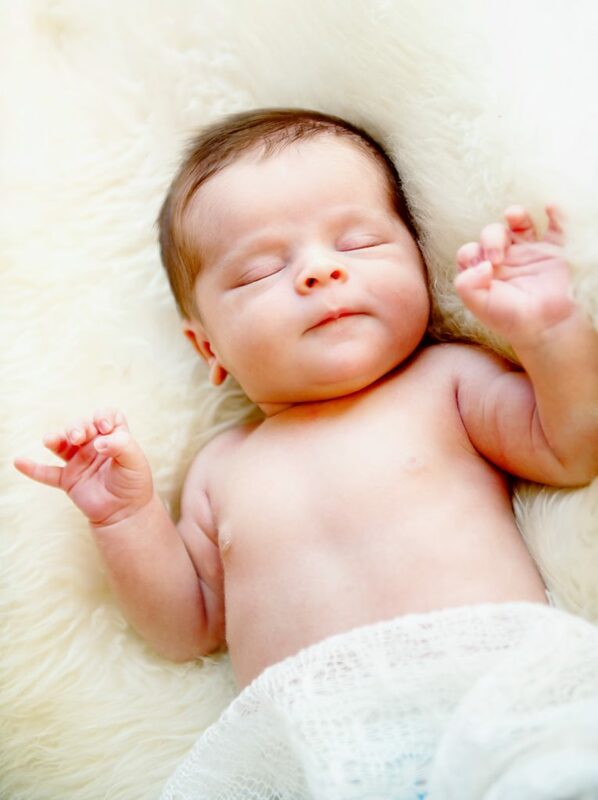 Babies have their own internal clock that signals them when they need to feed, sleep, poop, and pee and will eventually turn into a familiar pattern once your baby is 2 – 3 months old. A mom needs learn to recognize these signals and a useful way to do this is by writing a note while you record an activity. Periodic visits to the doctor are among the many things parents must do when their baby is born. It’s a necessary process so that doctors can check the progress of your baby’s growth and development. In the busy minds of moms, remembering all this info is difficult and it might require a lot of guessing work. Recording your baby’s daily activities keeps information organized and ready. You can stop playing the guessing game and tell your doctor the exact information he needs. As this article has mentioned before, babies will have their own rhythm once they turn 2 – 3 months old. Study these patterns and use it to establish a routine that keeps your baby happy and yourself. Tracking and getting a really good sense of your baby’s cues and habits will guide you to establish bedtime schedule and helpful especially for a working mom. Most apps have some sort of graph and an overview of your baby’s day. 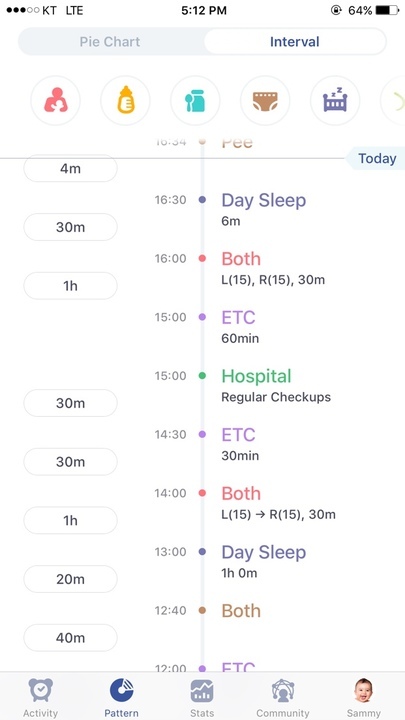 This helps you visualize your baby’s 24 hr day and it’ll help you in scheduling your baby’s day. The only way a baby can communicate with you about his health is through the progress of physical growth, a change in his habits, and through stool. That’s why pediatricians want you to recognize the meaning of stool appearance and unusual signs. But becoming a mom for the first time is a lot of stress and doing things you’re not accustomed to doing and you might not be able to recognize these signs until it’s been going on for a longer period of time. Daily tracking of your baby’s stool and periodic tracking of your baby’s growth will help you recognize these signs immediately or even help you answer your “hunch”, like to double check worries if you feel like there’s something off with your baby. Baby tracking apps nowadays have a long list of activities to record but don’t let this stress you out and pressure you into recording everything available on the app. Instead, weave through these activities and pick activities that you really ‘need’ and ‘want’ to record. For instance, if a baby is premature and you’re concerned about his weight gain, I’d record his weight and also the amount he feeds every day and then try to see how the amount he feeds affect his growth and weight gain. Utilize the graphs a baby tracking app generates to visualize the rate of your baby’s growth. Was this article helpful? Comment Below!